There are unique employment challenges for military spouses due to frequent relocation and limited access to career enhancing opportunities as a result of these relocations. While veteran employment has improved over recent years due to hiring, recruiting, and retention employment initiatives, military spouse unemployment has not been similarly impacted. 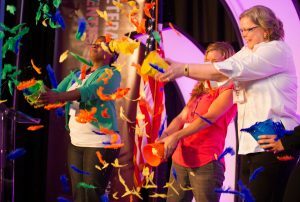 There are unique differences between veterans and military spouses, but proactively treating military spouses as distinct from veterans requires knowledge on the part of the employer. 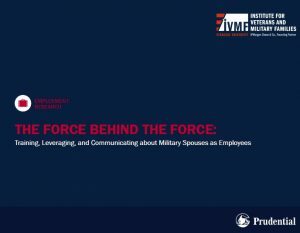 Thus, the Institute for Veterans and Military Families (IVMF), as part of its broader employment research efforts, and with the generous financial support and collaboration of Prudential Financial, Inc., is exploring the topic of military spouse employment. 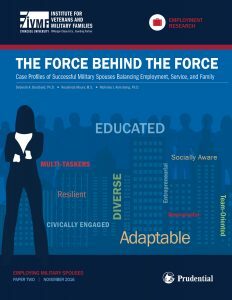 This “Force Behind the Force” series includes a collection of complimentary products geared toward educating employers, hiring managers, and human resource professionals interested in hiring and retaining military spouses. 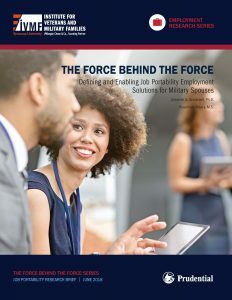 Defining and Enabling Job Portability Employment Solutions for Military Spouses – Two products focused on defining career portability, including efforts, findings and providing recommendations for employers. 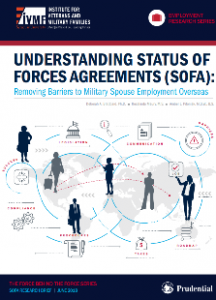 Understanding Status of Forces Agreements (SOFA): Removing Barriers to Military Spouse Employment Overseas – A research brief geared at helping military spouses and employers understand the issues related to the Status of Forces Agreements (SOFA) and working overseas. In 2016, the three-part suite of research products included profiles, case studies of military spouses, and training materials for human resource professions to use to learn more about recruiting and hiring military spouses. 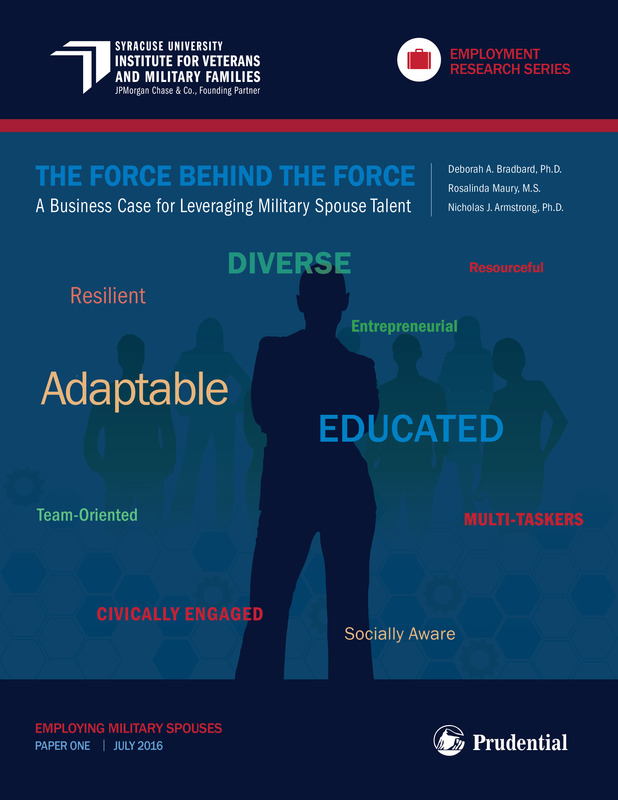 A Business Case for Leveraging Military Spouse Employment — In the first report of this series, we review the available research on military spouse employment and outline a business case for hiring military spouse employees. This case builds off of our previous research and Business Case for Hiring a Veteran. Case Profiles of Successful Military Spouses Balancing Employment, Service, and Family — The second report of this series highlights eight successful military spouses currently employed in the corporate workforce. Through the detailed conversations, the reader begins to understand the employment challenges military spouses face, how these challenges impact their work histories and resumes, and how standard methods of finding and getting a job eliminate many military spouses even before they have had the opportunity to compete. Training, Leveraging and Communicating About Military Spouses as Employees — This product, a training slide deck designed for hiring managers and human resource professionals is the third in a series of products that illustrates the unique strengths and challenges that military spouses bring to the workforce while supporting their service member’s military career. This training tool, designed to be used with the other two products in the series, offers a “hand-on” way for those interested in hiring military spouses to gain key insights and ways to train, leverage talent, and communicate when employing military spouses.